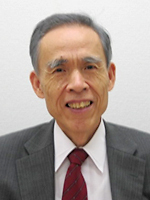 Mr.Shuji SUGIMOTO, born in 1948, is a graduate of the Department of Aeronautical Engineering at Kyoto University. After obtaining a master's degree in 1972 in the field of supersonic aerodynamics, he worked for KAWASAKI HEAVY INDUSTRIES, better known as KAWASAKI MOTORCYCLE CO., LTD. overseas, in the research & development division of gas turbine engines for four and a half years. He had worked for a patent firm in Osaka for twelve years where he gained experience in many patent cases related to electronics, television and video systems, gas turbines, motorcycles, etc. 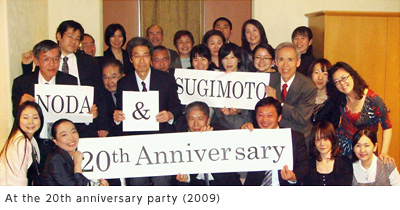 before NODA & SUGIMOTO was founded in 1989. 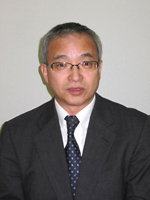 Mr.SUGIMOTO was qualified in 1981 as a Patent Attorney. He is particularly concerned with patent procedures in foreign countries, and attended a four-week seminar on US patent procedures held in a US patent firm in Washington D.C. in 1985 and also a two-week seminar on EP practice held in a British patent firm in London in 1988. Mr. Masashi NODA, born in 1950, is a graduate of the Department of Mechanical Engineering at Ritsumeikan University in Kyoto. After graduation in 1973, he began his patent career with a patent firm in Osaka where he gained experience in many technical fields including machine tools and their electrical control systems, architecture (mainly dwelling houses), and electrical wiring systems. Mr. NODA was qualified as a Patent Attorney in 1980 and founded NODA PATENT OFFICE in March, 1989 which developed into NODA & SUGIMOTO in September, 1989. He is also qualified as a specific infringement lawsuit counsel. 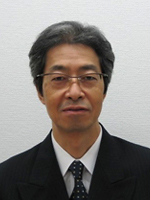 Mr. Takeo TSUTSUMI, born in 1956, is a graduate of the Department of Engineering Science at Kyoto University. After obtaining a master's degree in 1982, he began his career as an engineer at SANYO ELECTRIC Co. Ltd. After twelve years’ experience in the Control & Systems Research Center, he joined our firm as an engineer. Since 1994 he has gained experience in many patent cases related to medical devices, X-ray analyzers, motorcycles, engines, etc. He passed the examination for Patent Attorney in fall, 1998. 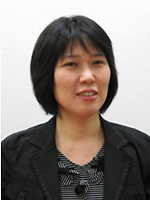 Ms. Kumiko HAYASHIDA, born in 1968, is a graduate of the Department of Electric & Information Engineering at Kanazawa University in Kanazawa Prefecture. She worked as a computer engineer in OKI ELECTRIC Co. Ltd. After five years’ experience in the computer software development division, she joined our firm as an engineer. Since 1997 she has had experience in many patent cases including computer software, computerized weighing machines, medical devices, X-ray analyzers, etc. She passed the examination for Patent Attorney in 2000. 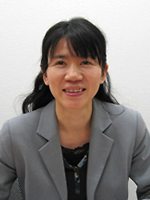 Ms. Yuka KOBAYASHI, born in 1969, is a graduate of Kyoto University where she majored in biology, especially chemical interaction between plants. After working as a JSPS (Japan Society for the Promotion of Science) research fellow, she is now in the process of submitting doctoral theses to the University. After having gained experience in patent procedures mainly of polymer chemistry, organic chemistry, biochemistry and pharmacy in a patent firm for six years, she joined us in December, 2006. She was qualified as a Patent Attorney in 2005. 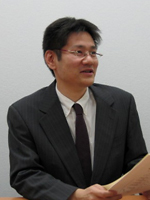 Mr. Kenichi NAKADA, born in 1970, is a graduate of the Department of Nuclear Engineering at Kyoto University. After obtaining a master's degree in energy applied engineering in 1996, he began his career as an engineer at SANYO ELECTRIC Co. Ltd. After 9 years’ experience as a rechargeable battery engineer, he joined our firm. Since 2005 he has gained experience in many patent cases related to bearings, water treatment, secondary batteries, gas turbines, etc. He passed the examination for Patent Attorney in fall, 2007. Mr. Nakada attended a four-week seminar on US patent procedures held in a US patent firm in Washington D.C. in 2009. 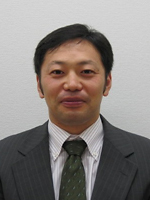 Mr. Daisuke KANEKO, born in 1973, is a graduate of the Department of Material Science at Osaka University. He began his career as an engineer in TORISHIMA PUMP MFG. CO., LTD. After nine years’ experience in the electric system division and one year in the plant engineering division, he joined our firm as an engineer. Since 2006 he has had experience of many patent cases including motorcycles, engines, bearings, etc. He passed the examination for Patent Attorney in 2007. He is also qualified as a specific infringement lawsuit counsel. 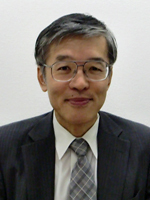 Mr. Akio OTOMO, born in 1950, is a graduate of the Department of Electric Engineering at Muroran Institute of Technology. After working for Takachiho Trading Co. Ltd. as a technical support staff, he began his career in the field of intellectual property at a patent firm in Osaka. He joined our firm in 1993 and experienced many patent cases related to security sensors, electric power units, transformers, and polymer products as well as in litigation of patent infringement. He passed the examination for Patent Attorney in 2009. We have, other than eight patent attorneys with technical backgrounds, engineers in the fields of electronics, mechanics and chemistry, and experienced secretary staffs.